Alson Wong has been a pediatrician with the Southern California Permanente Medical Group since 1993. 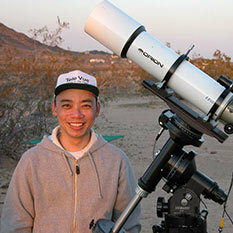 He is an amateur astronomer and solar eclipse enthusiast and a member of the Riverside Astronomical Society and the Society for Astronomical Sciences, as well as a charter member of the Planetary Society. 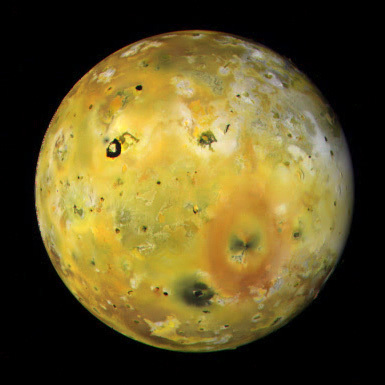 This image was created from red, green, and violet-filtered images taken by Galileo during its 18th orbit of Jupiter, on February 20, 1997. 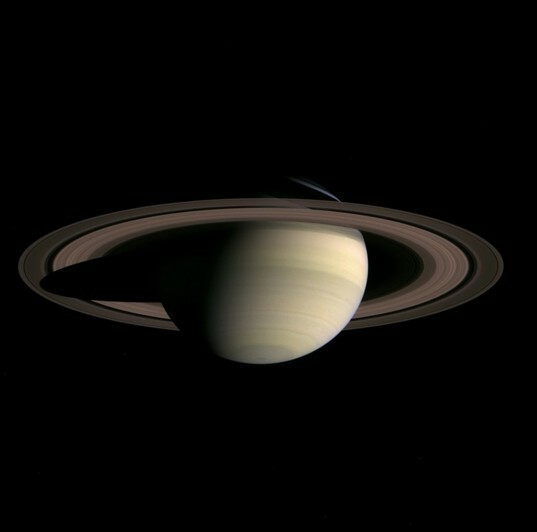 Saturn and its Rings imaged by Cassini as it approached Saturn, three months before orbit insertion. 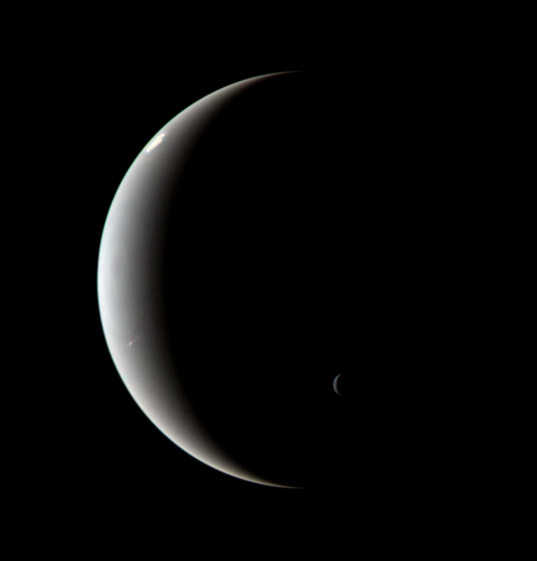 Crescent Neptune and Triton captured by Voyager 2 in 1989.